Mark Zuckerberg and Sergey Brin, How about a Milner Prize to fix special education? This is exciting! Silicon Valley entrepreneurs (the chief executive of Facebook, Mr. Zuckerberg, and the co-founder of Google, Mr. Brin) have teamed up with investor Yuri Milner to create a new prize to spur innovation. Called the Breakthrough Prize in Life Sciences, it provides $3M to each of a group of 11 scientists to spur breakthrough discoveries. Here’s the Wall Street Journal article about it. HMMM. How about an innovation, breakthrough prize to fix the broken special education system–to spur practitioners, legislators, parents, students–to think and do differently. It is time! Now that would be truly exciting! 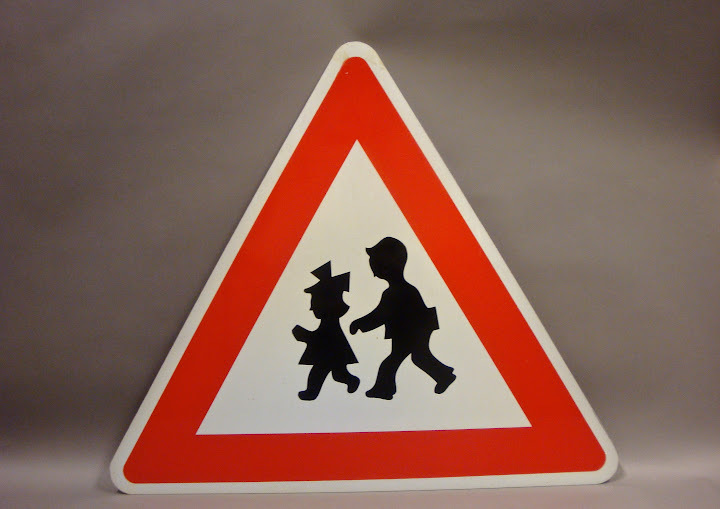 Signs, Letreros, Hyoushiki–children crossing signs from around the world! 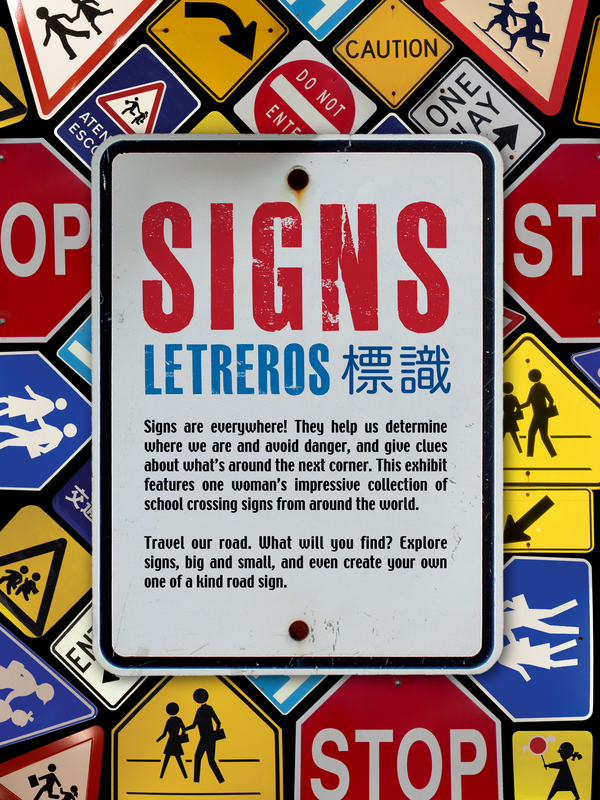 Check out the ROAD SIGNS exhibit at the Boston Children’s Museum–February 15 to March 17! Signs, Letreros, Hyoushiki …. This exhibit features my collection of road signs of children going to school around the world. Japan, Mexico, China, Czech Republic, Great Britain, France, Spain, Italy, etc. etc. Check out the entire collection online. As I mentioned in an earlier blog about my mother (December 18), I think these signs are fantastic. Artistic and colorful–in basic red, yellow and blue. Countries show a different view of childhood and children. Some are playful; others stern; some are ‘sexist’ perhaps; others not; some artistic; some face the ‘wrong way!’ Etc. The collection –that I have gathered since 1968, when I got my first sign while living in New Jersey–is a rich testament to the diversity in our world. Enjoy it! I have created greeting cards of these signs for sale. Buy a set of 4 for $19.50, postage included. Happy travels! Observe our fascinating world! Here’s the POSTER for the EXHIBIT! Children who come to school with a small vocabulary are already behind. Beore day one. We have known this for a long time… In fact, I remember how startled I was when I first learned of this gap. See, e.g., the 2003 longitudinal studies by Betty Hart and Todd R. Risley, showing that by age 3, youngsters from language rich (generally well-to-do) families have a working vocabulary of 1116 words, children from working class families have a 749 word vocabulary, and children from families receiving welfare have a 525 word vocabulary. After all these years of efforts and reforms, that gap is not closing. Efforts by schools to close that key language gap–between those who have many words and those with few–have not done the trick. Calls for more instruction? I’m dubious about their efficacy. Instead, I suggest we look at these children’s homes to help parents understand the importance of language and of speaking with their young children. I wonder how many parents understand this critical aspect of raising young children. I suspect that many do not and that they would be appreciative if efforts were made to inform them and suggest how they might create language- rich environments in their homes. And how important that would be in helping their children in school. I suggest we may get farther with this approach than with the usual one of asking (demanding) that schools close so many gaps for so many children–even before they come to school. As I watch my almost two-year old granddaughter speaking with an ever increasing vocabulary–I can only think how wonderful it would be if more children could grow up in language-rich environments. Let us focus on that! Happy Sunday! I enjoyed reading this review of the Union City schools in New Jersey. “The Secret to Fixing Bad Schools.” It’s step by step focus by all–administration, teachers, students, parents–on results, starting in early childhood. It’s not about firing bad teachers or getting charter schools. It’s an amazing story of success. Congratulations to the hard workers in Union City, New Jersey! As someone who grew up in Flemington, New Jersey, this story makes me proud to have grown up in the Garden State! Close the extra time loophole on the SAT and ACT! Washington Post story about extended time on the SAT and ACT needs a response! Those SAT accommodations just won’t go away–in fact they keep growing…. Ah, those SAT and ACT accommodations–a story that keeps getting bigger and worse. Miriam Kurtzig Freedman, M.A., J.D. on Please call them advanced or high achievers–not gifted or talented! Lisa on Can we really use student tests to measure teacher effectiveness? Michelle on Please call them advanced or high achievers–not gifted or talented! © 2019 School Law Pro.